A new article on Deadline.com discusses the cuts to the incentive program in Louisiana and how the state’s production industry is looking to bounce back. 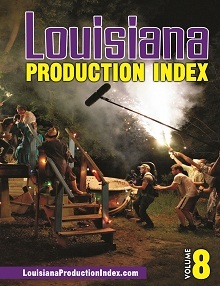 “Louisiana’s filming loss comes at a time when several other states are increasing their incentives to keep or attract filmmakers. California tripled its incentives program in 2014 to $330 million, Ohio will double its program to $40 million in September, and Pennsylvania recently raised its by $5 million to $65 million. The latest project from BIC Media Solutions, entitled “Rock Bottom and Back: From Desperation to Inspiration,” is set to be released this summer. Published by BIC Media Solutions and written by The New York Times bestselling author Susan Mustafa with Earl B. Heard, “Rock Bottom and Back” depicts the incredible lives of 22 people who hit rock bottom and then came back from profound despair to help others in extraordinary ways. “Rock Bottom and Back” features celebrities and ordinary people alike, each with a unique story of tragedy, perseverance and, ultimately, success. The book comprises a wide range of people, diverse in age, race and life experiences. “The key thing I was looking for was not how far they had fallen but who had inspired them to rebuild their lives and help others to do the same,” said Heard, who chose the book’s participants with the help of Mustafa and BIC’s media manager Rose Gladner. While the book was being written, BIC Media Solutions partnered with David Bottner and Steven Scaffidi at the New Orleans Mission to help produce a companion DVD. The New Orleans Mission is the largest faith-based private service provider to the homeless population of the greater New Orleans area and the economically disadvantaged residents of Central City. “Our strategy is to rescue people from homelessness, strengthen the recovery efforts of the people seeking our support, and foster their successful re-engagement into society as healthy, disciplined skilled people ready to lead a sustainable, productive, purpose-driven life,” said Scaffidi. 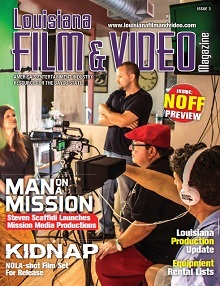 As such, Scaffidi had the idea to form a production company at the New Orleans Mission that focuses on film, television and other creative projects. After meeting Heard and signing a deal with BIC, Mission Media began production on the “Rock Bottom and Back” DVD. Guests at the New Orleans Mission, called Mission Disciples, made up the entire production crew. The collaboration between Mission Media and BIC doesn’t end there. The two entities are currently working on a “Rock Bottom and Back” TV pilot. The ultimate goal for the “Rock Bottom and Back” project—which now includes the book, the DVD and the TV show—is “to give hope to those who are facing adversity and despair, and to ignite a spirit of gratitude among those who have been blessed with success and resources,” said Heard. For more information, visit www.rockbottomandback.com. The camera crew shot from boats to get coverage in the duckweed covered swamp. Louisiana Film & Video Magazine had the opportunity to speak with writer/director/producer Gary Ross about his work here last year on Free State of Jones. Filming the action with actors Matthew McConaughey and Mahershala Ali. Director of photography Benoit Delhomme (left) shoots 1:1.85 with the Alexa for a more intimate feel. Free State of Jones uses all of its outdoor locations to paint a stunning, visual picture. Cinematographer Benoît Delhomme (Theory of Everything, 1408) did a fantastic job of keeping the scenes filled with numerous extras and epic battles intimate. STX’s Free State of Jones opens nationwide on June 24, 2016. MediaFusion Entertainment and Carbin Pictures just wrapped principal photography on their independent film, Cut Off. The psychological thriller, previously titled Born Again Dead, was featured for both Indiewire‘s Project of the Day and Project of the Week. Headlined by Oscar nominated, character actor Brad Dourif (Bad Lieutenant, One Flew Over the Cuckoo’s Nest), he is joined by John Robinson (Lords of Dogtown, Elephant), and César Award nominated actor Jean-Marc Barr (Big Sur, Europa). Actor William Baldwin (Squid and the Whale, Backdraft) even makes a cameo in the first feature by writer/director Jowan Carbin. Louisiana Film & Video Magazine had an opportunity to speak with actors Brad Dourif and Billy Baldwin about their work on the project. “In Cut Off, I’m playing an older Cajun guy who’s at war with his brother. He’s just trying to keep the family together. He lives in Cut Off (Louisiana), and he wants to keep all of those traditions alive,” explains Dourif. Director Jowan Carbin (center) discusses a scene with actor Billy Baldwin (right). Baldwin talks about the challenges of independent, low budget productions saying, “Every department is under staffed and under funded. As an actor you want to shoot 5, 6, 7, 8 takes every shot that you’re doing, and if you ever see a 3rd take, you’re lucky. You have to be really, really, really prepared coming in. It’s not like the old days,” says Baldwin.